He is my friend. I’m proud to know him. There is a guy who helps us out sometimes. He is from West Africa. He has a special talent for talking to anyone from any nationality, for breaking down barriers and bringing people together. It’s really something to see. I asked him about it one day. He told me that when he arrived in Italy he was very sick -couldn’t move from bed. He was so weak and ‘in a very bad situation’ for two whole years. He had no money and was entirely dependent on the generosity of strangers. It sounded terrifying to be honest. In Italy he had no rights and was living in a poor community where it was literally every man for himself. I can only imagine his fear. He said that being so dependant on others meant he got to see what was inside of people. He found that what people look like on the outside doesn’t matter. Sometimes those of your own nationality can let you down and then help can come from where you least expect it. He learnt to take every person on their own merits and not to make assumptions. An experience that could well have broken him has made him one of the most outgoing and friendly people I have ever met. He will approach anyone and has a natural talent for making people feel comfortable and creating harmony. I can’t think of anything the UK needs more right now. 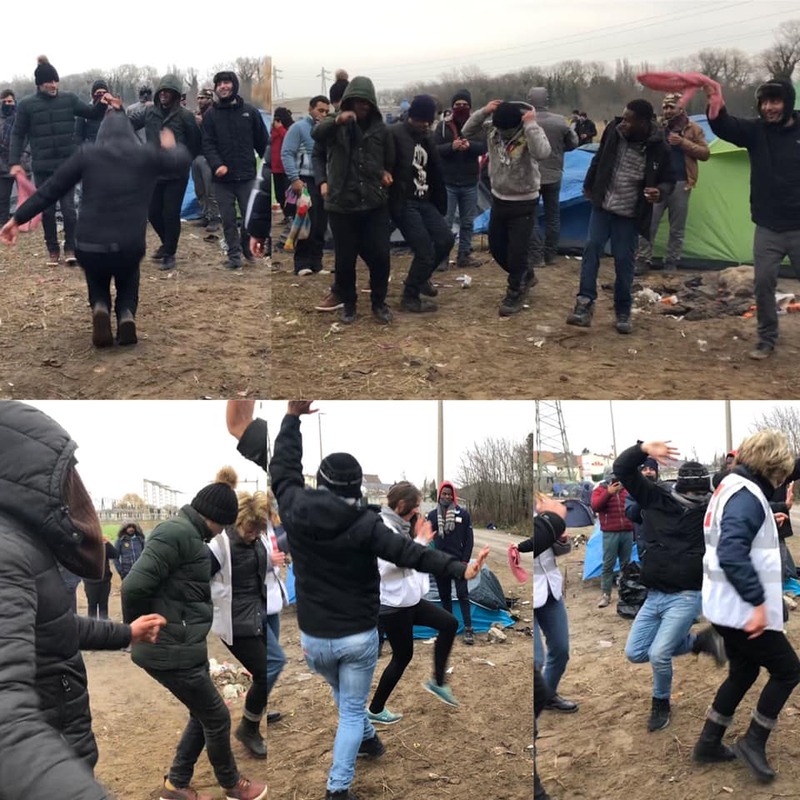 These pictures show an afternoon when he got a group of people from different nationalities dancing together. He is my friend. I’m proud to know him. To volunteer or donate go to www.care4calais.org.